If you've been hanging with my blogging for a while, you may remember my posts about simplifying, including having less stuff and spending less money. Well, that idea led to me making a wish list of clothes/shoes/jewelry with dates so that I can see how long I've wanted something and know I will use and keep it for a long time. The Nordstrom sale came around last week, and I went straight to the watches and running shoes since both have been on my list for a while. I went on this shopping trip both like my mom would (brought in by the sale) and like my dad would (making a beeline to the items I needed). Unfortunately, my watch order got cancelled (it was a great deal, and evidently too popular), but I am thrilled with my new shoes! update: The sales lady from Nordstrom called to let me know they have the watch back in stock, and I ordered it again, still with the sale price! I wore it here. I purchased my last pair of running shoes at the same sale two years ago. Actually, I had only seen a picture, and my mom got them for me. 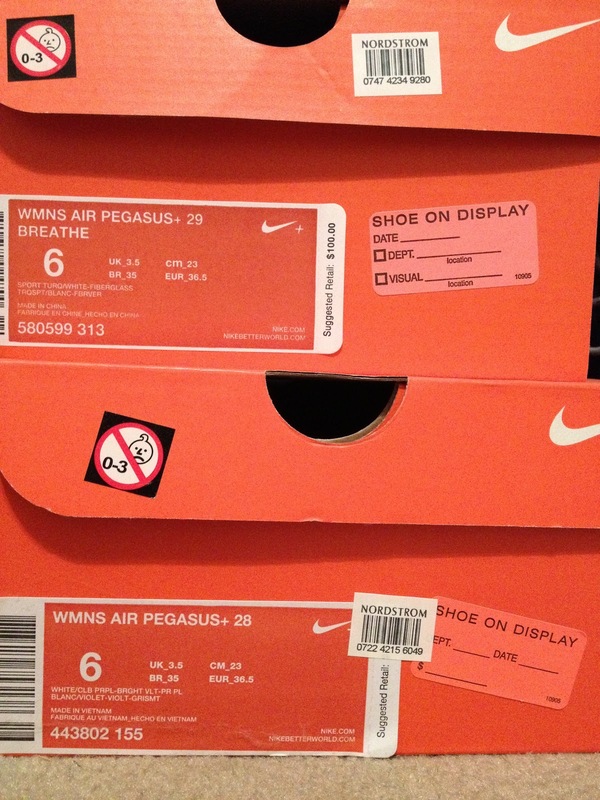 They fit well and were comfortable, so I was focused on trying this year's pair of Air Pegasus. I was not disappointed at all. I have been having a lot of trouble with my knee over the past couple of months, which has improved lately with the help of a chiropractor and foam roller exercises. 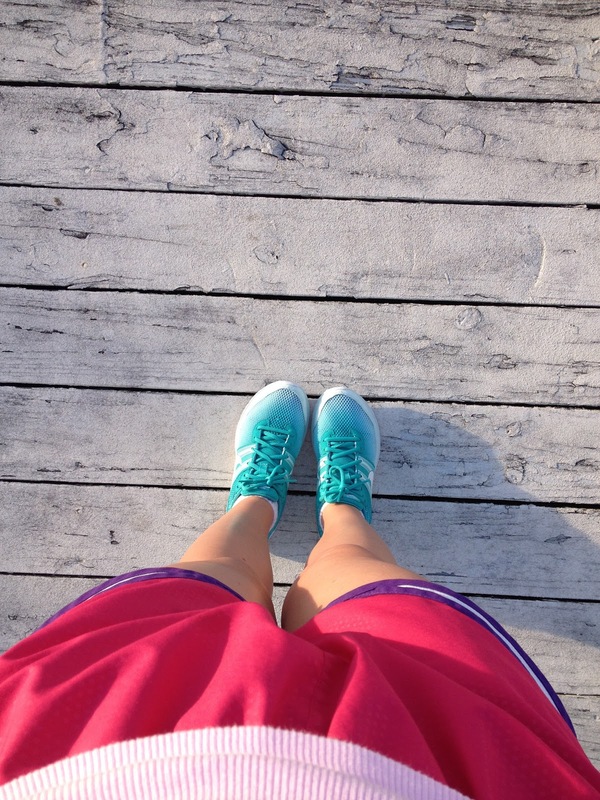 I hadn't jogged in several months, but wow! 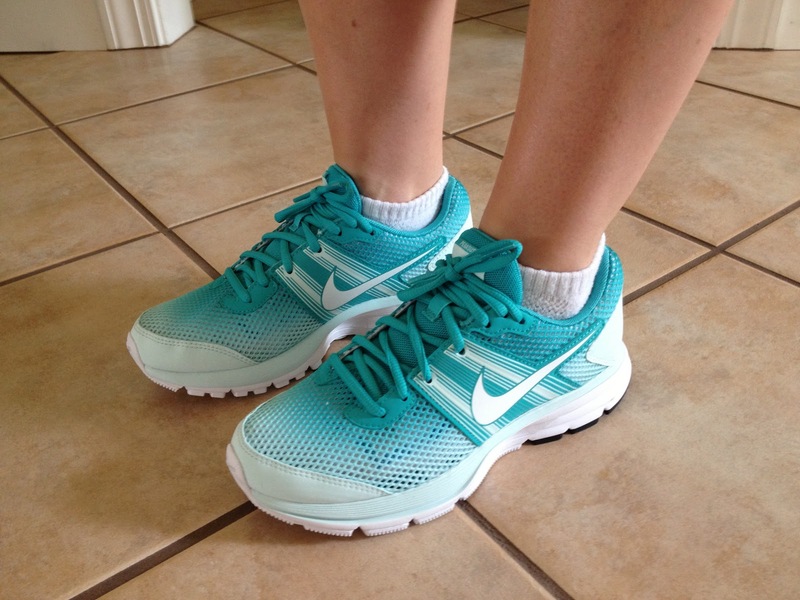 These shoes felt amazing when I jogged around the neighborhood twice over the weekend and on the treadmill this week. It seems like every time I get new shoes, I'm amazed at how much easier it is to run and I wish I had gotten them even sooner. See how my right knee is bent a little?! It won't straighten. Have you bought anything recently that you've planned to buy for a while?